Weh Island belongs to Aceh Province of Indonesia and it becomes a good alternative for spending a long holiday or simply getting away from daily routines. What makes the island is worth to visit, though? Thanks to the presence of Iboih Recreational Forest. It becomes a good spot to enjoy lush nature and its peacefulness. Not to mention it features lots of attractions including a beautiful beach, animals, and big trees. All of them combine into a good nuance that helps tourists to relax and get closer to nature. That means the forest becomes a suitable location for both sightseeing and relaxation! 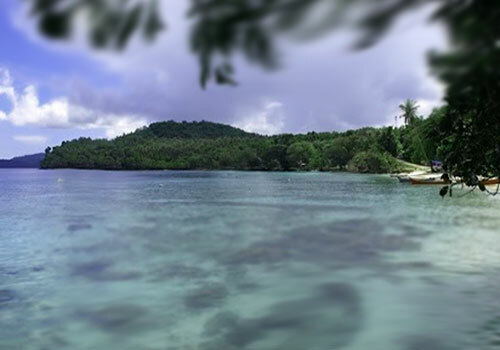 In a nutshell, Weh Island has two main attractions which are Iboih Recreational Forest and Marine Park. Both of them are worth a visit, even though they offer different charms to tourists. In the forest, people have an opportunity to explore a dense forest with the size of 1,300 hectares! The location of such recreational park is on the west part of the island. Not only it features the tropical forest, but it offers a beautiful beach forest as well. Some people cannot find a reason yet to visit Iboih Recreational Forest. Well, it can be any adventurous activities especially trekking. Such tropical lowland forest is good for trekking and exploration and all thanks to the good landscape. Tourists even have the chance to climb the famous nearby volcano called Ukong Marong! As for the tip, it is better to wear comfortable footwear and carry proper equipment during trekking. Do not forget to carry bottled water and some snacks as you cannot find food vendors on the site. What is next? It is possible to enjoy a beautiful sunset from there! Despite the big trees, the forest offers some good spots to witness the sunset and enjoy the scenery. In this case, tourists should come in the afternoon before dusk if they do not want to miss such stunning view of the nature. Another popular activity is to enjoy local’s specialty which is Octopus Satay. In order to reach the recreational park, tourists should head to Weh Island first. From Banda Aceh, they can ride a small bus to Krueng Raya Harbor. Next, it takes a ferry to reach the island and it takes about 2-3 hours. After arriving at the island, it is time to ride a local bus and head to Iboeh.